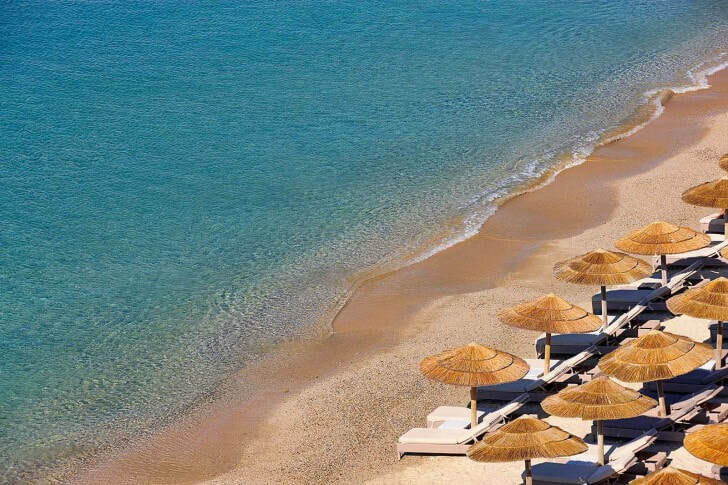 The Myconian Imperial is a peaceful oasis overlooking Elia beach, just six miles from Mykonos town. 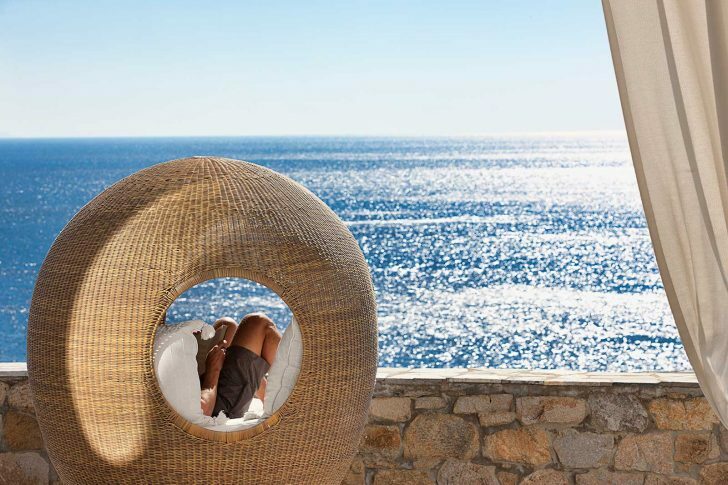 Rooms and suites, many with private pools and spa tubs, offer superb views and authentic Greek hospitality. Enjoy the Thalassotherapy Spa, offering unique treatments, and a complimentary shuttle to Mykonos town. Specialists are available for consultations and health menus are available. Guests of the Imperial Hotel & Thalasso Center enjoy a co mplimentary buffet breakfast each morning. Serves a range of Grrek and international dishes. Relaxed buffer restaurant, serving authentic Greek dishes. Lobby bar serving cocktails and drinks into the night. Serves snacks and light lunches to hungry sunbathers around the pool. ​Indulge in unexpected combinations of Sushi as your tastebuds rejoice. ​The recreational activities listed below are available either on site or near the hotel; fees may apply. Cash transactions at this property cannot exceed EUR 1500, due to national regulations. For further details, please contact the property using information in the booking confirmation. This property offers transfers from the ferry terminal and airport. Guests must contact the property with arrival details before travel, using the contact information on the booking confirmation. Amenity Hig hlig hts: Delicious cuisine awaits guests at this luxury hotel, as they take in the breathtaking views from their room. With the town of Mykonos nearby, exciting shopping, restaurants and nightlife provide plenty of entertainment for visitors.